Helping locate missing pets & get those found back home. Here is just one of many reasons that animals need reclassified as living dependents, like our human children are, instead of “property”. Even with them considered as “property” and this story is clearly theft of the dog for not returning it, among other things, the police do nothing about it. Theft is a crime, unless it’s a pet it seems, which makes absolutely no sense to not charge people with theft because “it’s just a dog mentality” yet people are charged with animal cruelty. How can you be cruel to a piece of property, yet not cruel to it when you steal it. The current laws when it comes to pets & animals contradict themselves, and seriously need changed. 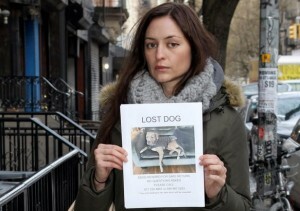 An East Village dog walker traded a Manhattan fashionista’s beloved pit bull for angel dust, the devastated owner charges in a new lawsuit. 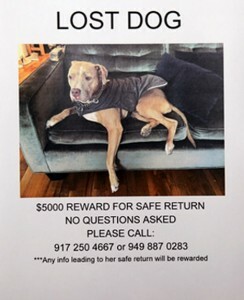 Sugar, a 4-year-old brown and white rescue dog, has been missing since Feb. 23, when canine caretaker Tommy Doerr claims to have had “an unexplained psychotic episode” and can’t remember what happened to the dog, according to court papers. 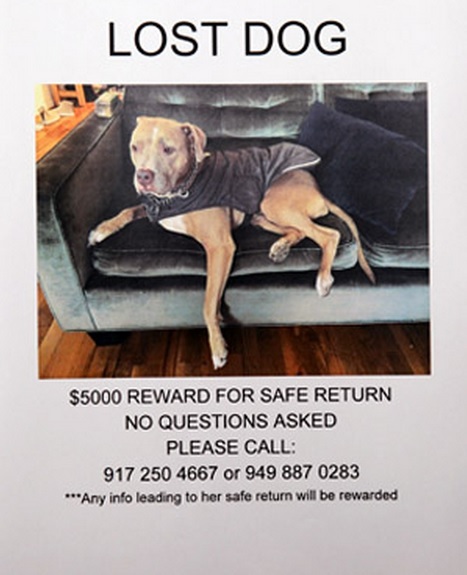 Sugar became a social-media sensation as owner Morgan Bogle used Facebook, Twitter and Instagram — plus thousands of posters and even a Seventh Avenue billboard — to spread the word about her lost companion, creating the viral hashtag #FindSugarNYC along the way. But Bogle doesn’t buy Doerr’s story of a breakdown, according to a Manhattan Supreme Court lawsuit she filed against him. Doerr, 46, was “detained by the police who had allegedly searched him and found him in possession of a controlled substance, believed to be PCP,” Bogle claims in court papers. Copyright © National Missing Pet Rescue Network 2016 | All Rights Reserved.